A leading tour musical director explains how his experience as a producer helps him to prepare hit records for live performance. 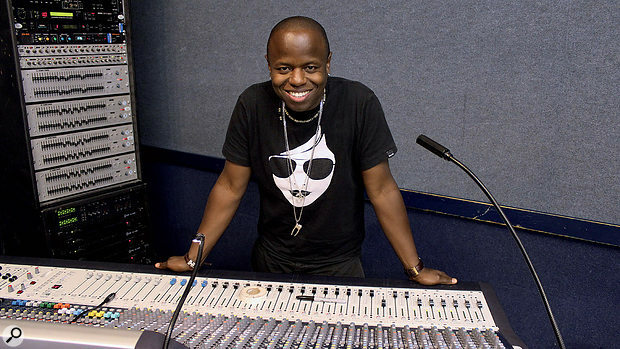 Kojo Samuel invested a lot of his early years in production and recording, working as a producer, writer and remixer for the likes of Mica Paris, Lynden David Hall and US-based production team Sa Ra Creative Partners. 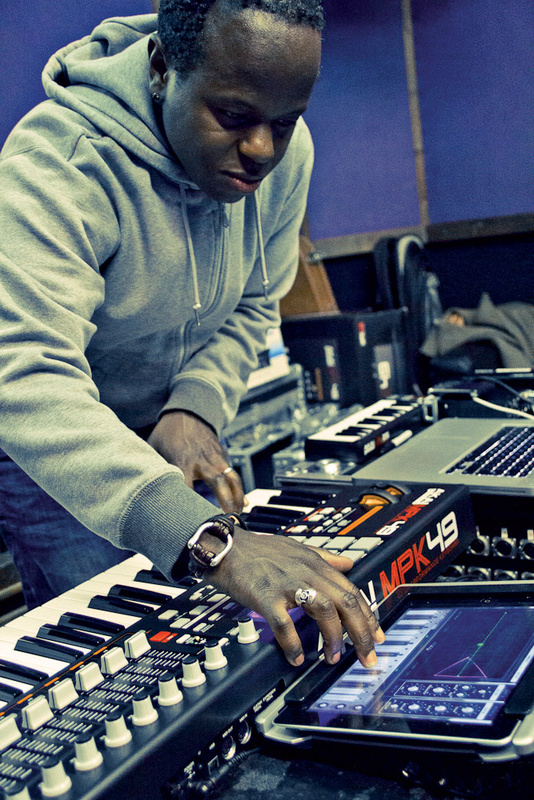 However, the combination of Kojo's production skills, his eye for the bigger picture and his ability as a keyboard player eventually propelled him to a position as a successful musical director for Jessie J, Plan B, The Sugababes, Tinchy Stryder, and a host of other radio A-listers. Kojo's preferred means of providing backing tracks to a front-of-house engineer is via two synchronised Alesis HD24s, with one serving as a backup. Backing tracks have an important role in live music performances these days, often providing backing vocals, live strings and horns, electronic drum hits, sound effects and sequenced material that can't easily be performed live. Once Kojo has a band line-up sorted, he then goes through song arrangements deciding which parts of the record can come from a backing track, and which will be performed by the band. Kojo with Tinchy Stryder, whose records Kojo has helped translate to the stage. One of the standard ways for delivering the playback of backing tracks for live sound is with a pair of Alesis HD24s sync'ed together, with one running as a backup in case the other fails. 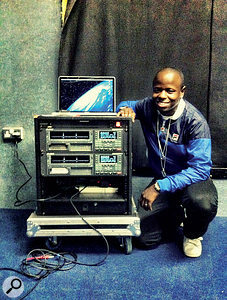 With the Alesis HD24s now discontinued, Kojo feels the live sound industry is crying out for a purpose-designed playback device: "I think it would be great if someone made something specifically for live playback that wasn't computer based, so you don't need to have someone who understands a computer to use it. The great thing about an HD24 is that I can show someone how to use it in 10 seconds”. 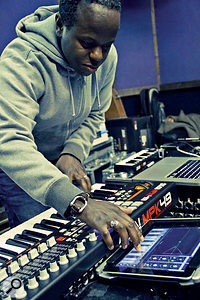 For a Carphone Warehouse promotional video, Kojo had to assemble a band of iPad-only musicians to accompany Tinchy Stryder. 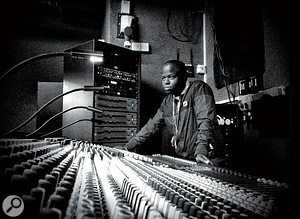 Kojo has worked with many artists, preparing lots of different types of performances. The most unusual I had seen was a video of Tinchy Stryder and his band performing a short set only using iPads! I asked Kojo to explain what happened. 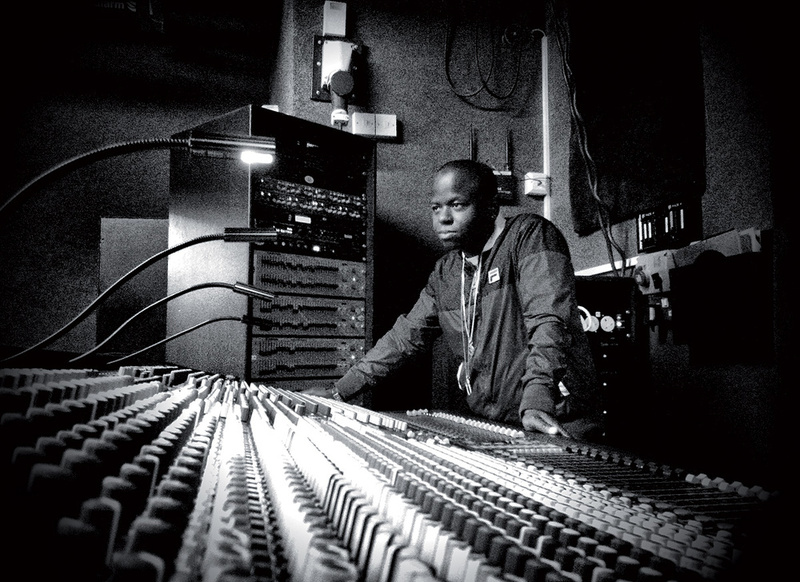 "Tinchy's management came to me and said that the Carphone Warehouse had approached them, and wanted Tinchy to perform a whole track with a group of eight or nine people using just iPads. I am an optimist, so I said 'Yeah, I think we can do it.' I spent the weekend downloading apps from the App Store. To finish the interview off, I asked Kojo to share his feelings with me on the music industry's increasing focus on live performance. "I think the ability for artists to perform live is really important. They have to really sell the music now, because radio play is not the be-all and end-all that it used to be. There are a number of forms of entertainment media competing for people's attention, so for people to really buy into an act, they really have to be blown away. It's not inconceivable that music could become free at some point, things are kinda coming full circle. "You talk to people from my mum's generation and they have spent years moaning about the fact that these new kids can't sing, or can't perform, but now artists are having to sing and show that they can perform live in order to ensure that people buy into them. Strong performances can have a huge impact on record sales. When Plan B played the Hootenanny on Jools Holland, the next working day the album shot back up the iTunes chart to Number 2, after being out for over six months. It was clear that some people liked the performance and went straight to iTunes to buy the album. "I think that a good live show is so important these days. With the whole issue of recording sales going down, there are people who might not buy your record, but will go and see you live. People may not spend £7 on a record, but they'll happily spend £25 to go and see someone perform, so it's important to deliver a show that actually has an impact on people. In this age of downloading, there are kids who have never bought an album. Most just listen to music on YouTube and that's normal to them. My feeling is that the one thing you can't put a price on and that you can't bottle is a live, face-to-face experience. I have seen shows that have changed my life, and that's what keeps you buying into an artist and keeps you coming back. People might not buy a Devlin album but they may see him rapping on YouTube, spend £20 to go see him perform, and then spend £15 on a T-shirt. 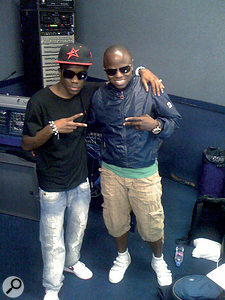 As well as the artists mentioned in this article, Kojo Samuel is currently working with Katy B, Delilah and Cover Drive. You can keep up to date with his projects, and watch videos of some of the performances Kojo has helped to put together, at his new web site, www.kojosamuel.com.